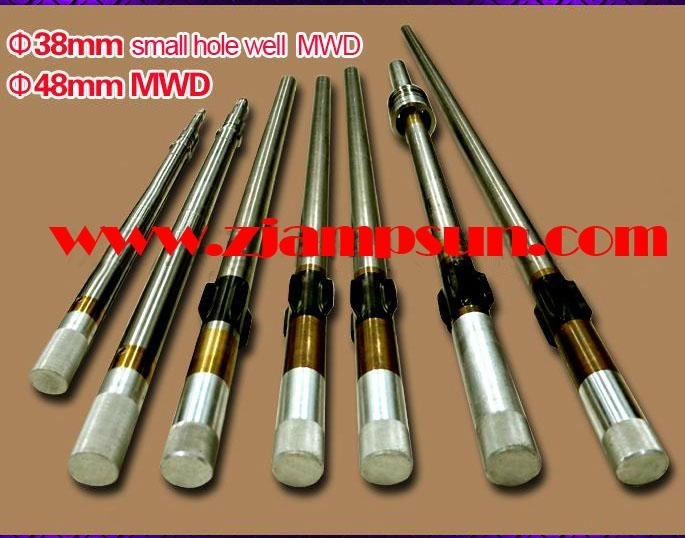 the probe sensor is imported and with good quality . Pulse generators is using pressure balance type, more safety and stability than the oil tank type. centralizers are using imported rubber ,very durability. battery canister is with pressure-relief devices, so that the safety factor of the equipment is greatly increased. the instrument has the advantages of low power consumption, but long working hours, a battery can be used for more than 420 hours. 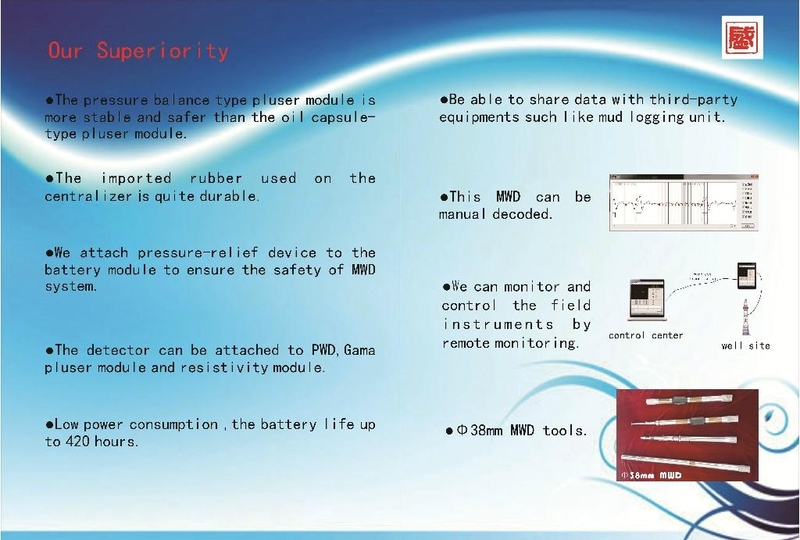 can be with the third parties (such as mud logging tools ) for data sharing. Can remote monitoring, orientation and do operation for the field instruments, as in the scene. 10 . the equipment is easy to operate, easy to maintain. If you need more details ,pls contact us .Thanks .